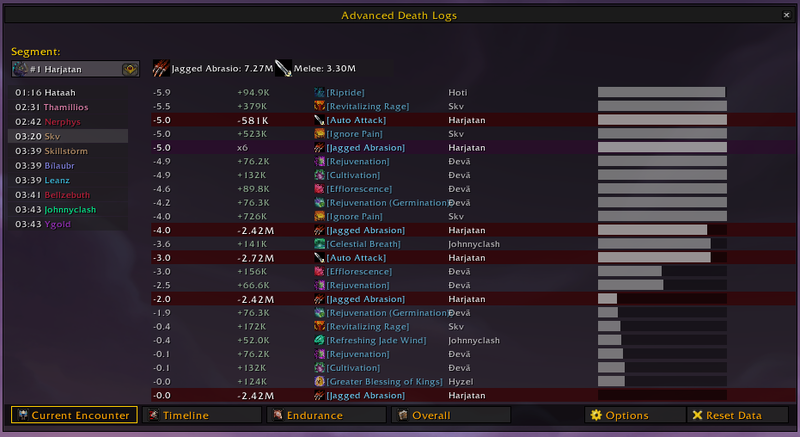 Most powerful, reliable, handsome, damage meter for World of Warcraft. Options panel with clear navigation, open and close windows at a glance, bookmark favorite displays. 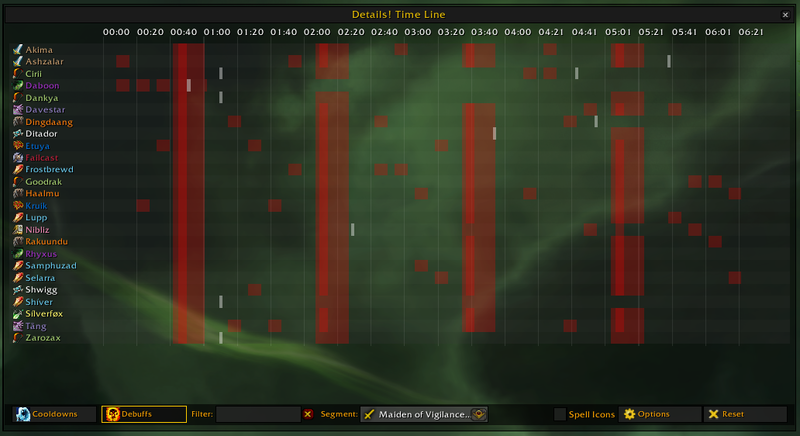 Consistency on real-time combat log reading, damage and healing are always accurate with ranking web sites such as warcraftlogs. 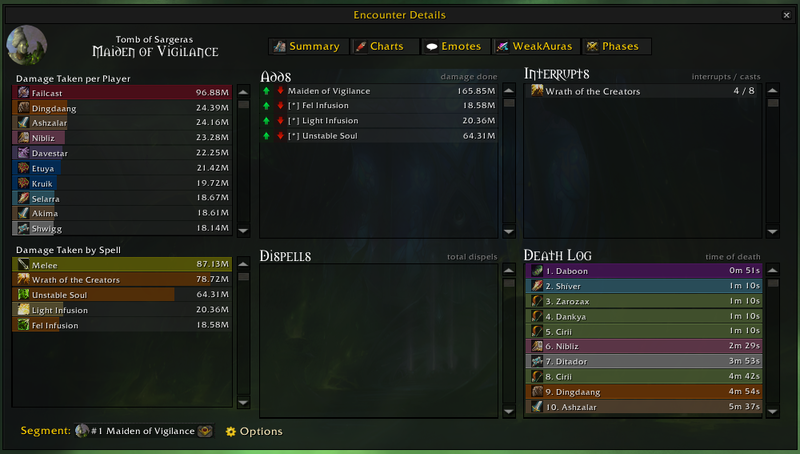 On raid encounters, you may feel a framerate gain on intense fights specially during bloodlust/heroism time. Programmable Custom Displays: build your own display using the Details! 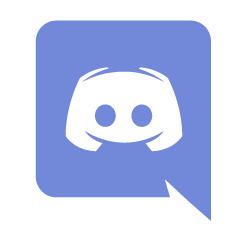 API. Raid Tools: a set of small tools to help on the day-by-day raiding. 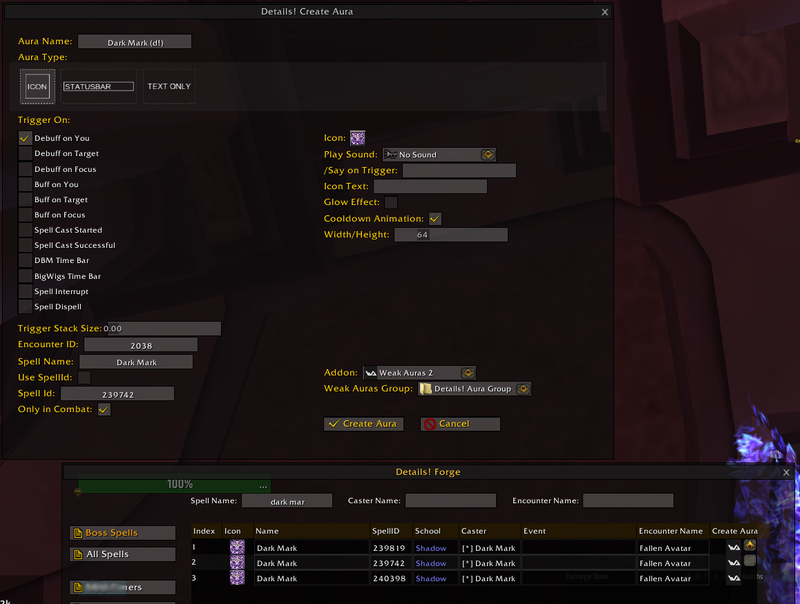 Weakaura Creator: create an weakaura with a few clicks. 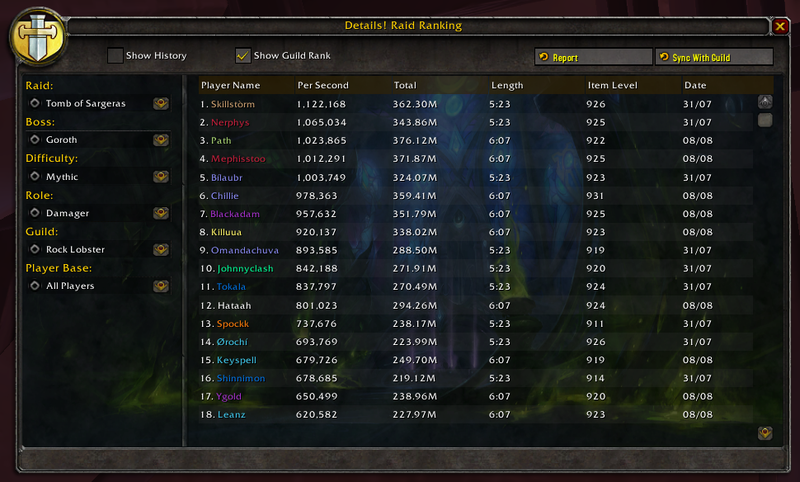 Guild Ranking: store the damage and heal from guild runs, build lists of top DPS on each boss. Talents and Item Level Tracker: see which talents raid members are using and what is their item level. Encounter Details: a summary about the current encounter. Chart Viewer: show graphics on damage and healing. 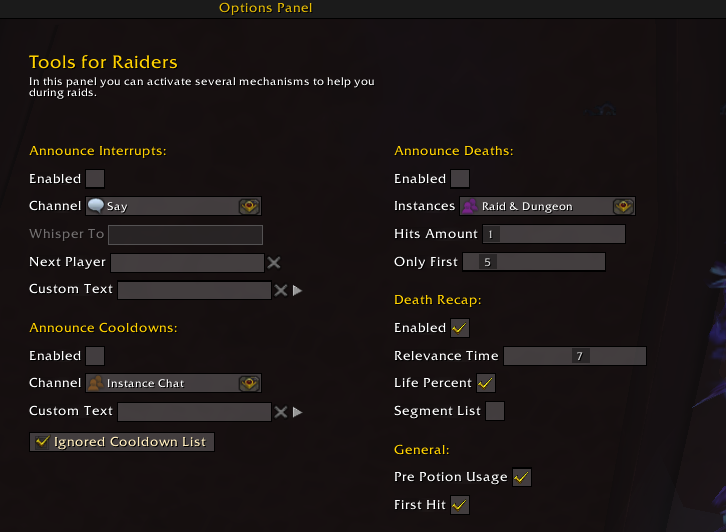 Advanced Death Logs: show death logs on a bigger window and record death statistics. Time Line: show debuffs and cooldowns usage by time.